This is a 2000 SQFT residential townhome fire loss. The vehicle’s battery was being charged overnight and the charger overheated, caught fire, and subsequently caught the engine compartment on fire. 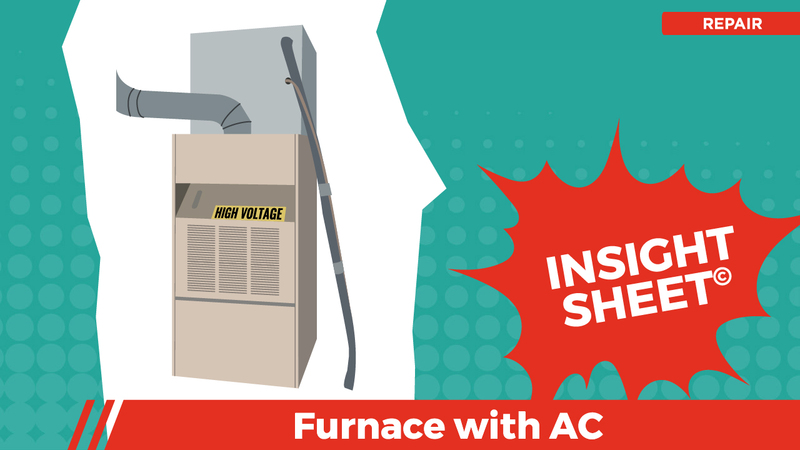 The furnace was located right in front of the vehicle and charger that caught fire, thus, it was determined that the furnace required removal and replacement in order to return the appliance to pre-loss condition. The A-coil was also fully compromised, and due to the passage of time, the central air conditioning system required simultaneous removal and replacement. The Insight Sheet seeks to highlight some of the additional activities associated with code compliance and building department collaboration. This Insight Sheet is written in generalities with a California bias. Users are encouraged to refer to the International Code Council and the agencies that govern the region by which the loss is located. This Insight Sheet excludes the framing of the HVAC platform, galvanized gas line and electrical concessions that are typically associated with a fire loss of this nature. 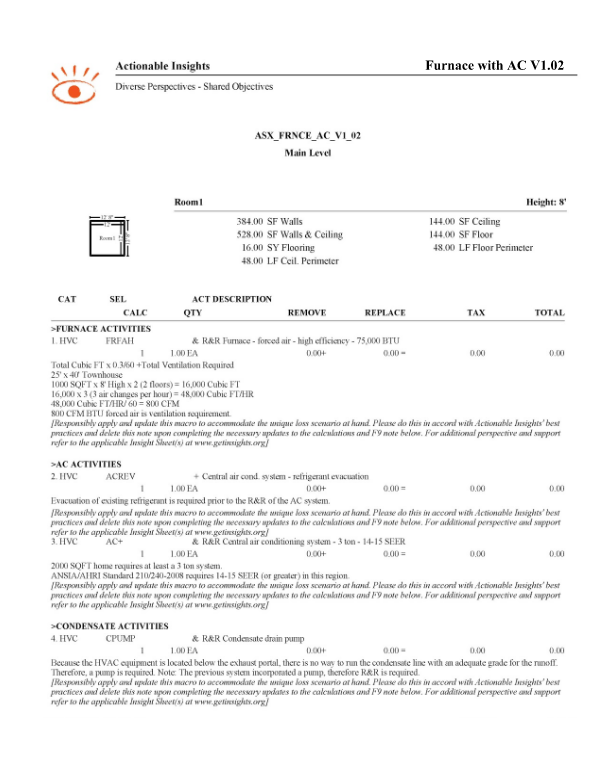 This Insight Sheet exists to clarify how one might invoice for removing and replacing a furnace/AC system. This does not seek to include or make concessions for all equipment and/or activities as it relates to a loss of this nature. Good catch, and thank you for answering my call to clarify!